Even the biggest brands make the small but costly mistakes. Four big obstacles to avoid as you grow. So you think your company is ready to grow? Think you’re all set for soaring revenues and an influx of new customers? Make sure to avoid common mistakes that trip up even the most impressive iconic brands. Assume you know how the fundamental components of growth will work for your company. That seems like most of the work, right? In fact, figuring out the path and implementation plan is a critical element of success. Insulate your plan by taking the extra steps to include the following safeguard steps in your intensive growth strategy. Thinking of going into new markets? Great. Did your market analysis include the right equation for probability of success but stop short of understanding the people, the culture, and the language? Know your new audience. Anticipate responses that go beyond the normal bell curve. Pepsi isn’t alone. Consider their competitor Coca-Cola. Coke reported nearly $47 billion in sales in 2013. Much like Pepsi, they possess the scale to bring to bear rich expertise to their expansion and marketing plans. Yet, when Coke launched in China they overlooked the fact that the name they selected sounded like Coca-Cola when pronounced, but the characters used for their product name really meant “Bite the Wax tadpole”. The lesson: always know your market and anticipate the outcomes of a new endeavor. 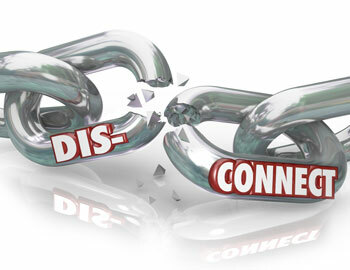 Switching from traditional marketing to email and multi-message marketing? Congratulations. Statistically, you are poised to reach more prospects that are more inclined to use your information in a manner that leads to a transaction – all for less than you were probably paying for print advertising. Have you done the diligence to select the right list? Are you marketing to potential new prospects or existing, loyal customers? Don’t kid yourself, the segment you target with email marketing and the message you send will resonate. So be confident with your message strategy. Consider the experience of the marketing team at The New York Times. In efforts to win back several hundred subscriptions cancelled by otherwise happy customers turned into a nightmare when the discounted deal for return customers was sent to 8 million of their current subscription holders. As a consequence to their blunder, the Times dealt with angry customers that were concerned about security believing their accounts had been hacked, and others were frustrated that customers renewing a cancelled subscriptions were gaining larger discounts than the loyal, current subscriptions. The lesson: match the message to the segment and the segment to the list before you hit send….no matter how big or small your company. Ready to dive in and use social media? Social media is perhaps the most pervasive social innovation of our time. Social media allows people across the globe to network and communicate without the necessity of knowing one another before, sharing common goals, or investing much time in contemplating the value of each interaction. Rather, social media allows real-time connection of message sender and flocks of message receivers. You and your company have the opportunity to participate in this epic dialogue….but be careful. Not all tweets, wall posts, or updates are received in a positive manner. 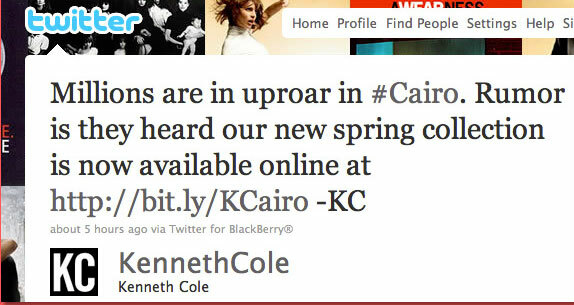 Consider Kenneth Cole’s tweet announcing the launch of their 2011 spring line. The tweet was designed to build on the enormous global attention turned toward the political unrest in Egypt. Too bad the tweet came from KC himself. Social media hits the individual performer with a company too. Smart people make terrible mistakes and once the mistake is made via social media, you can’t take it back, just apologize. 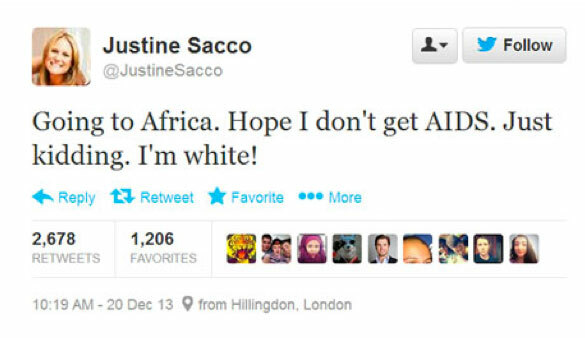 Take Justine Sacco, a former PR executive that posted what she later referred to as a “needless and careless” tweet before leaving for Cape Town, South Africa in 2013. The lesson: respect social media for the global microphone that it is and tweet corporate and personal messages that would make even your own mother proud. Are you dropping your price? Many business leaders mistakenly think if they lower their price, new customers will join existing customers and buy more. As one of my professors in business school used to say, “That’s only true when it happens to be true”. In other words, there may be certain price/cost strategies that result in an increase in revenues, but the general idea that lower prices drive bigger business is just not a reliable perspective. If your company’s competitive strategy is price or cost leadership, then this makes more sense; however, it still requires the firm to lower its costs before lowering its price, else you are only giving away a portion of your margin. For those companies that subscribe to a competitive strategy of segmentation or differentiation, the plan to lower prices to drive new sales must be a calculated one. Even the use of coupons, if not thoughtful and inclusive of safeguards for multiple redemption, can bring a small or midsize business into a crunch instead of the desired growth. Consider J.C. Penney, the retailer founded in 1902. New CEO Ron Johnson led a campaign to replace existing sales and discount signage with a constant state of savings in what he dubbed “month long savings.” The discounted signs went away and the message campaign that J.C. Penney would price their products low all month, thus no coupon or sale needed, was implemented. Unfortunately, customers didn’t agree that lower costs across the store were better deals than a good old fashion sale. Same-store sales dropped by a third and revenue tumbled by 25%. Regretfully, J.C. Penney was forced to layoff 19,000 employees. Could a simple focus group or split testing have saved the retailer from such a substantial loss? Maybe, maybe not….but it can definitely save your business from the pains of poor pricing and discount strategies. Do your market research – Consider customer focus groups, survey, and split testing. If your customers don’t like your pricing strategies, they will likely buy from your competitors. Consumers will use coupons you make available. Research confirms that 1 in 5 online coupons are redeemed. So make sure the price reduction or the coupon is part of a larger campaign to win new customers or grow the base of loyal customers. Remember, you are trying to increase your sales to drive incremental revenue. 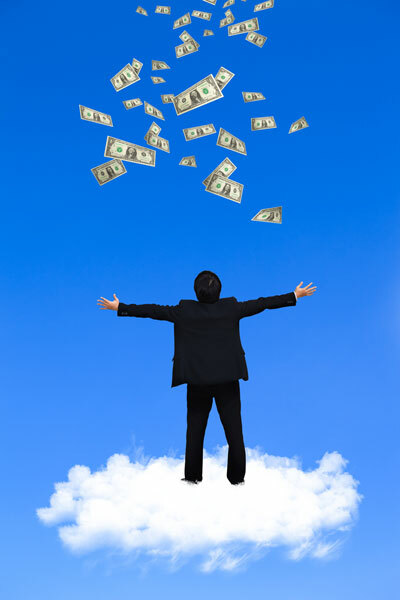 If you increase sales but drive less revenue, you have created a revenue loss. 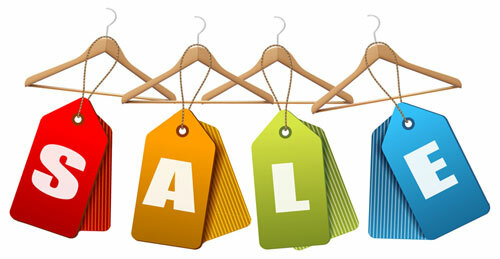 Connect your discount or coupon to a marketing plan that is properly armed with a target market capable of bringing in the volume you need to make the discount profitable. Consider social media and email options aimed at mobile users, as 34% of the multi-billion smart phone audience report using their smart phone for mobile coupons. As noted earlier, growth is elusive. Don’t let your company miss an opportunity to hit the ball out of the park due to obstacles that sneak into the best laid plans.